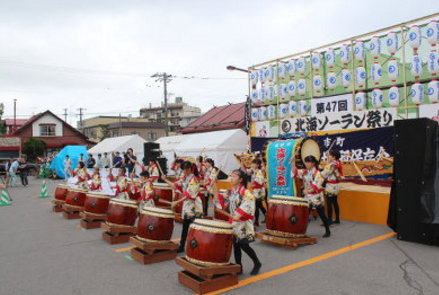 At Hokkai Soran Festival, you can wear yukata, enjoy taiko drumming, soran dancing, festival floats and much more. At the festival delicious food and drinks from one of many different street stalls is available. On the second day an impressive 4,000 fireworks will be let off in the Yoichi night sky.